Read the original article by Brittany Chain at dailymail.co.uk here. 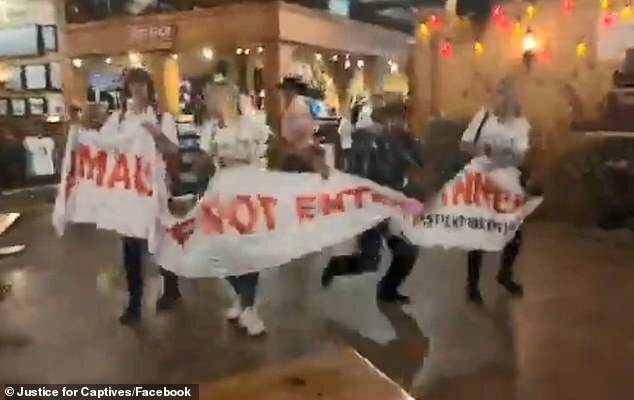 Animal rights activists who interrupted live performances at Sea World have faced online abuse for ruining the family-focused event. 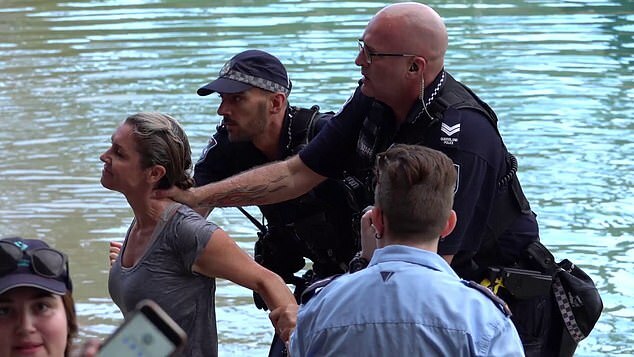 A small number of activists from the Justice For Captives group stormed the live dolphin show and later the Australian Outback Spectacular on Saturday night. 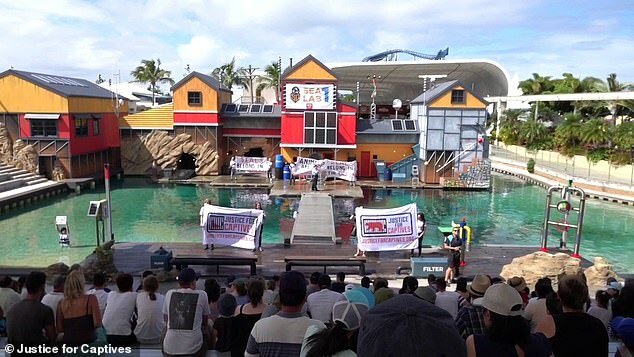 The famous dolphin show had only just started and was packed with families celebrating the first day of school holidays for Queenslanders when up to 20 protesters emerged on stage. 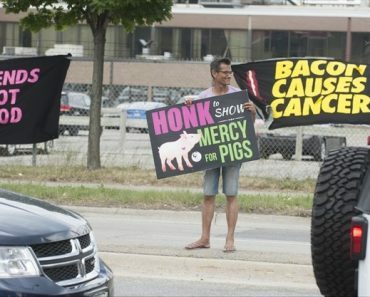 They were holding banners that read ‘captivity is cruelty’ and ‘animals are not entertainment’. 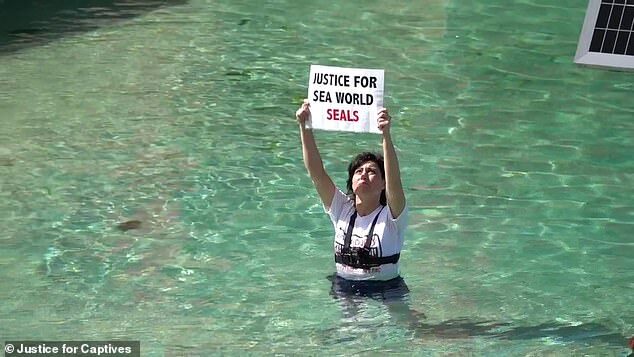 Initially, Sea World temporarily paused the show as 10 people were escorted from the premises, only for more protesters to arrive. Two went so far as to enter the pool with the dolphins, resulting in an announcement coming over the PA informing spectators that ‘due to unforeseen circumstances it has become necessary to cancel this show’. 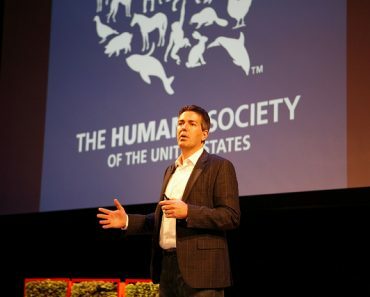 A Sea World spokesman said ending the show was in the best interests of the animals and staff members. 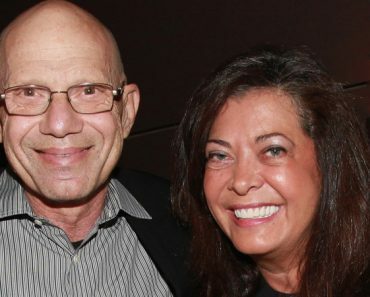 Members of the public were enraged at the cancellation and said the protesters completely disregarded hardworking families who had paid money for the performances. ‘Congratulations that’s another 2000 odd people who will now have no respect for your cause after ruining their day in front of their children,’ one person said. Others were quick to point out the contradictions in the activists’ message to stop people from paying for these events. In order to attend the dolphin show the members of the group would have had to purchase tickets to the grounds. To attend the Australian Outback Spectacular, which was ambushed only hours later by the same group, yet another ticket was required. ‘I was here tonight. This was soooo misguided. 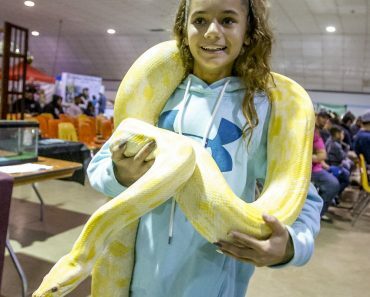 Before this show I saw first hand how these animals were treated, with the utmost love and respect and absolute admiration,’ one furious man in the audience said. 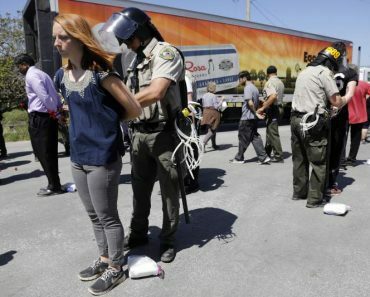 Justice for Captives said multiple members were arrested and slapped with $780 fines for the stunts. ‘This is not the way to enact change and gain public support,’ one member of the community wrote on social media. But the group defended their decision to protest, and deemed the day’s work a success. 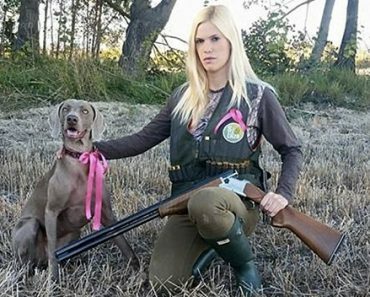 ‘Dolphins are intelligent, sentient beings and are not ours to train, ride, kiss or cuddle,’ a spokesman for the group said.